That's approximately seven million a day in the United Kingdom. Thanks to a partnership between GF Smith and Cup Cycling by James Cropper we can do something about it. GF Smith and Cup Cycling are able to reuse 90% of each cup and covert it to FSC Certified paper. The remaining 10% is plastic (which stops the cup from leaking) which is then used to insulate wiring. This is a zero waste process. We wanted to be part of this at Back Pocket, so now you can help out by carying these notebooks around in your back pocket. We loved the idea of recyling a paper cup into a notebook to allow you to become more creative, so we sought out the most creative person we could find to help turn these former coffee cups into inspirational notebooks. Our search stopped with Rob Draper. Rob Draper is an artist, letterer, and a creative inspiration. He finds ways to upcycle simple every day items into amazing works of art. 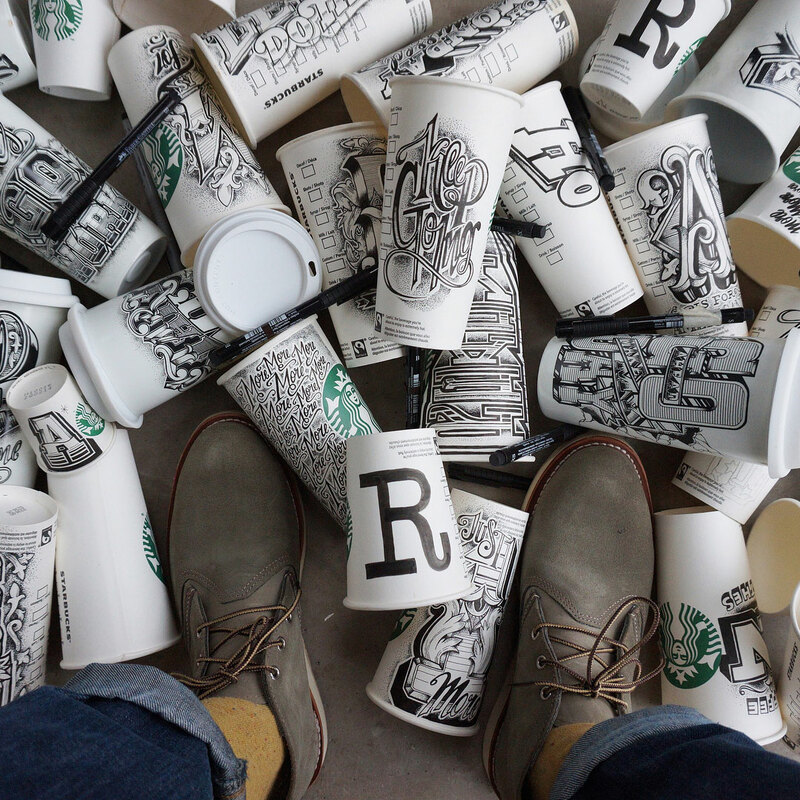 Rob would often use the cup during a visit coffee shops to create a peice of art before snapping a picture for Instagram and leave it for someone else to find and enjoy. Famous for his wonderful designs on coffee cups, we asked Rob to create a set of three cover designs that epitomised his design philosophy which would be printed on Extract Paper... and possibly using the very cups that he left behind.